Wallace Broecker, the US climate scientist who helped popularise the term “global warming” has died in New York at the age of 87. Prof Broecker was among the first to connect emissions of CO2 to rising temperatures back in the 1970s. He also studied the ocean conveyor belt, linking oceanography to climate change. Scientists the world over have paid tribute, calling Prof Broecker a “genius and pioneer”. Widely known as Wally, Prof Broecker spent a career that spanned nearly 67 years at Columbia University in New York. It was titled Climate Change: Are we on the brink of a pronounced global warming? The paper was said to be the first time the phrase was used in a research paper. The study outlined the idea that humans were having a significant impact on the climate by emitting CO2. He argued that the world in the 1970s was experiencing what he believed was a 40-year cooling cycle that would soon end and the signal of human induced warming would soon be evident. Just a year later in 1976, temperatures started to go up and have gone up since along the lines that Wally Broecker predicted. 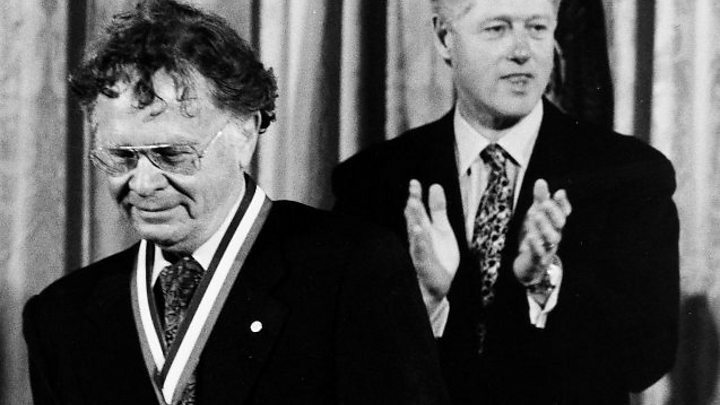 In the 1980s, he told US political leaders that the growth of greenhouse gases in the atmosphere warranted a “bold, new national effort aimed at understanding the operation of the realms of the atmosphere, oceans, ice and terrestrial biosphere”. Prof Broecker’s work on the ocean current conveyor was also hugely important. He outlined the idea that the scale of circulation of these currents must help regulate the climate system by moving large amounts of heat from one place to another. He also developed the idea that the conveyor could suddenly change, leading to dramatic climatic shifts that could occur over decades not millennia, as previously thought. Prof Broecker was hugely concerned about the ability of humans to tackle the root causes of climate change. 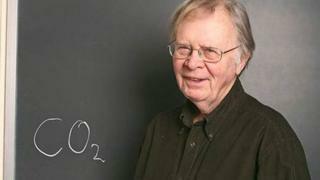 He became an early advocate for the idea of extracting CO2 from the atmosphere using machines. “I don’t like the idea of a technological solution any more than anyone else does but I’m saying that unless we have a technological solution CO2 is going to keep on going up,” he explained to the BBC in an interview back in 2009. “We can put a tax on CO2, society has learned how to keep water clean, now we have to learn how to keep the atmosphere in a nearly natural state. Prof Broecker’s high standing as a scientist was reflected in the many messages and tweets that have followed his passing. “He has singlehandedly pushed more understanding than probably anybody in our field,” said Richard Alley, a climatologist at Pennsylvania State University. Prof Broecker was known for his friendly, humble demeanour. He suffered from dyslexia, and never learned how to type or use a personal computer. He was somewhat embarrassed at the fuss over coining the term “global warming”, which he put down to “dumb luck”. In an obituary on the Columbia University website, Prof Broecker is quoted as warning that he would turn over in his grave if someone put the phrase on his tombstone.